Farm Machinery Centre Limited (FMCL), a fully state owned enterprise, within two years into operation has a total of creditable 460 youths working under the cooperation currently. As per the records with the Ministry of Labour and Human Resources, maximum number of youth have opted for FMCL through the Direct Employment Scheme supported by the ministry. Primarily a youth oriented SOE, FMCL is mandated to provide farm mechanization goods and services to the Bhutanese farming community at an affordable price. The CEO said that as far as he is concerned, most of the youths have opted for FMCL based on their personal interest and driven by a passion to transform the agricultural sector in the country for better. The SOE is also mandated to facilitate hiring of farm machinery to farmers and other stakeholders throughout the country, sales of farm machinery, implements and spare parts, repair and maintenance of farm machinery, fabricate farm machinery, implements and spare parts, sales of Petroleum Oil and Lubricant (POL) and others commercial and contract farming activities. 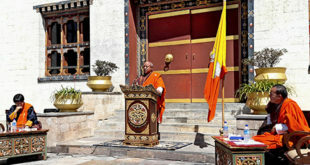 The SOE has been carrying out contract and commercial farming in the identified dzongkhags. Contract farming is the agricultural production carried out according to an agreement between a buyer and farmers, which establishes conditions for the production and marketing of a farm products. Currently contract farming is carried out in parts of Gasa, Trashigang, Punakha, Paro and Gelephu. Commercial farming is done on government owned fallow lands to revive for agricultural purposes. 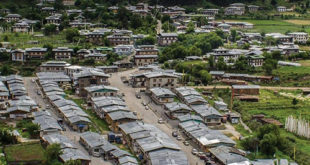 The commercial projects are currently being carried out in Thimphu, Dagana, and Samdrup Jongkhar. Sonam Yeshey, a technician said that he opted for FMCL through the support of labour ministry out of his own interest to learn farming mechanization and explore the farming prospects in Bhutan. And he also mentioned that it was not due to lack of other job options that he chose FMCL. “It’s a great learning experience and we get new ideas on farming which can be useful when we venture out in the future. I’ve always been interested in agriculture and the various training and learning activities complement my passion,” said Sonam Yeshey. FMCL is not only operated by youths in the field, but majority of the human resources in the administration also constitute youths. Tashi Wangdi, administration officer, who is also supported by the labour ministry under the DES program, said that with the SOE pursuing meaningful employment, every experience, he said is an eye opener and an encouragement to keep working hard everyday.